On this Sunday, April 22, 2018, the world will celebrate the 48th Earth Day, an international event which aims to acknowledge the environmental issues across the globe, from pollution and fuel emissions to global warming. This year, Earth Day will focus specifically on the usage of plastic and to start 'End Plastic Pollution campaign', to educate and mobilise people, politicians and government agencies because of more use of plastic increase dangers of fossil fuel. The theme of Earth Day 2018 is End Plastic Pollution. "Earth Day 2018 is dedicated to providing the information and inspiration needed to fundamentally change human attitude and behavior about plastics," according to Earth Day Network. It is an idea to encourage people to cut down on their plastic usage by paying a closer attention to the number of plastic items each person consumes annually and make a conscious effort to reduce the amount. According to a paper published in the scientific journal Chemistry & Biology in 2009, plastic is non-biodegradable and disposed plastic can remain in the environment for up to 2,000 years. The motive behind this is to reduce he usage of plastic which increases pollution. The motive also helps an individual to keep a check how much plastic they are using annually. After examining the amount of plastic used, one should take measures to reduce that particular amount. As we all know, plastic is non-biodegradable and even if you dispose of the plastic it will be there in the environment for more than 2,000 years. When did Earth Day start? 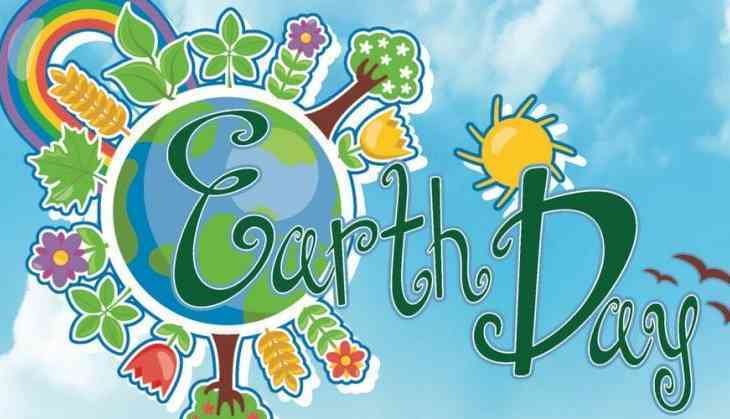 It was 1970 when Earth Day was first celebrated in the United States of America. The celebration took place 48 years ago after a devastating oil spill in the United States brought some environmental issues to the forefront of public consciousness. According to the Environmental Protection Agency, 22 million people across the country came out in support of environmental reform. Many people will attend beach cleanups, concerts, art exhibits, classes and other events coordinated by the Green Room Festival, according to the Earth Day Network. In the Indian state of Karnataka, a "no plastic" event will be organised to feature workshops led by "organizations that are champions of environmental sustainability in fields including electric vehicles, solar power and zero-waste living," the network said. Many cleanups also were scheduled in Palm Beach, Florida; New York; New Jersey and other locations across the United States and worldwide. You don't have to do anything extra. Without leaving your home, you can start by encouraging people not to use any plastic material through social media. Educate people about how dangerous it is for the environment. You can also join the initiative by signing the petition to end plastic pollution and make a pledge to reduce your own consumption. Then harness the power of social media by sharing pictures, tips and information using the hashtags #EarthDay2018 and #EndPlasticPollution. Keep an eye on social media so that you can join any local opportunities if any happens.